How Safe is Sedation For Children? At Smile Town Dentistry in Langley, our dentists recommend sedation for children who feel a great deal of anxiety when it comes to dental care. In the first two years of life, babies develop their first set of teeth - their baby teeth. This period is an extremely important one for good oral health. When children are between the 2 and 4, teething continues with the eruption of molars, and new eating patterns can have an impact children’s oral health. 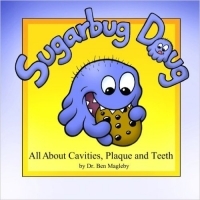 The SmileTown Burnaby Book Club Series will feature informative, engaging, and comforting books for children about visiting the dentist. Teens are at a higher risk of gum disease as a result of the hormonal changes they go through as they develop into adults. Fortunately, there are various effective ways to reduce this risk for your teenager.